Thread: Is this a long term problem? 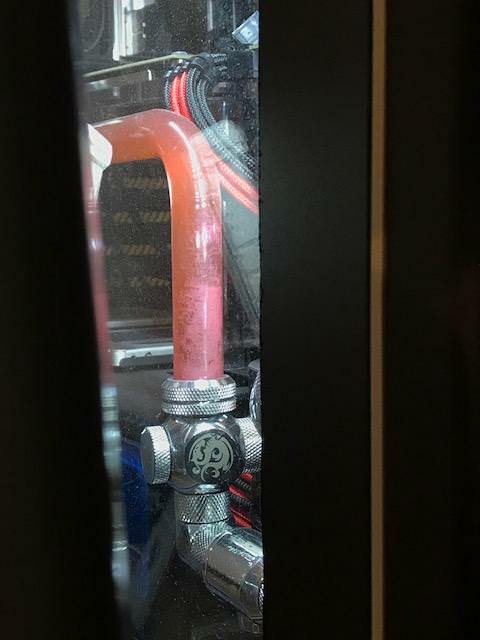 Hi Guys, have had my system running for about 5 months with the Primochill Vue.. I used the primochill prep prior to installing the coolant. I am seeing spot on the piping and even inside of the reservoir that show signs of almost scratching. 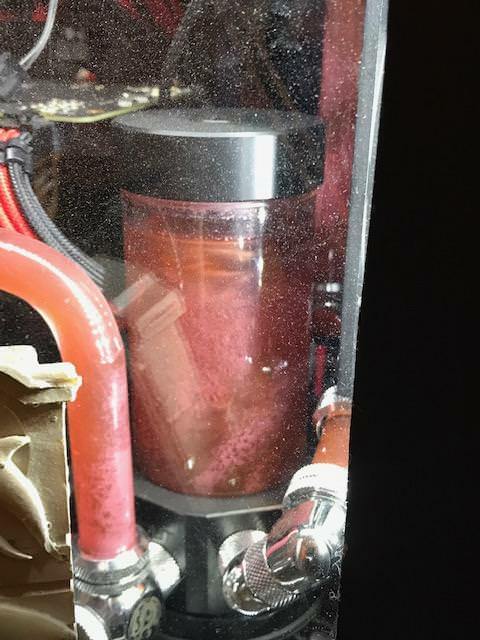 Is this a long term issue, should I change coolants and should I tear down the system and clean everything out? Pics to show what I am referring to. sorry about the hazy case. I hate lexan. Are they air bubbles? If so it should go away. If the tubing is staining that might be long term ugly. No no air bubbles.. I might end up redoing the piping once I flush the system. I am worried that the EK Cryo Fuel mixed with the Hue at some point. Even though I did the flush the exact way you are supposed to. The tubing was used? If so then what we are seeing is the deposits from the old loop. I ran the Cryo fuel for maybe 3 weeks, then I flushed the system.. First with distilled, then with sys prep as the directions said. Loop was brand new with the Cryo. Update: I took the whole system apart, the blocks were gunked up.. All the lines had residue in them. Cleaned everything, flushed and flushed. 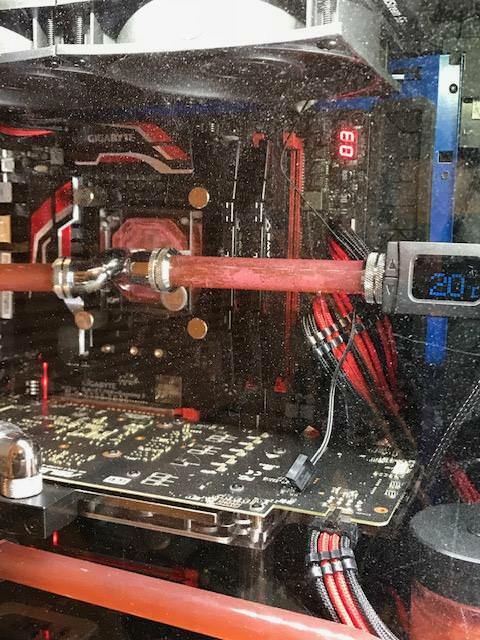 System is all back together and temps are about 5-6 C cooler with all same settings. I installed an inline filter in my system and was generally surprised by how much debri I was catching even after flushing with a gallon of di water before filling with my fluid.